SAN ANTONIO, Texas --- Adventist-owned snack cake giant Little Debbie (owned by parent company McKee Foods) has announced plans to open a mega-tent outside the San Antonio Alamodome to promote the Adventist health message at this July's General Conference Session. The public will be offered free weight loss consultations as well as healthy eating tips in a series of presentations. "Sometimes sharing our faith can be as simple as leading by example with a healthy lifestyle," said GC commercial liaison officer Dulce DeLece who has worked with McKee foods to create the event. All attendees will have open access to a free Little Debbie's snack bar upon completion of their training. it’s about time…..how about Kellogg’s and Post? Loma Linda Foods? Worthington? Really! Yeah, truly, this is True Satire! 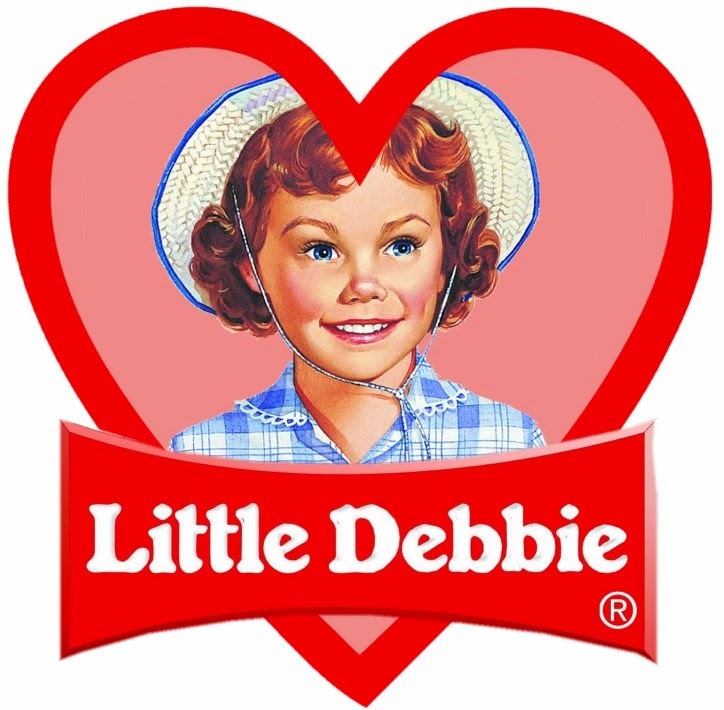 Out in the real world, Little Debbies could probably triple their sales if they took their products Natural, Organic, GMO Free, Gluten Free, with more grain and vegetable protein, lower carbs, less sugar. Then they could get ’em into Whole Foods. Whole Foods vegan cookies and donuts blow Lil’ Debs’ out of the water. Sevvy, this is the best yet. Truly hilarious due to the deep irony and oxymoronic scenario. It’s nice that Little Debbie (or is it going to be Will Farrell?) will offer “free weight loss consultations and healthy eating tips.” I have a tip, too: “Stop eating Little Debbie’s mega-caloric, sugar-and-fat-sloshed snack cakes, and you will lose weight and be healthier!” Now that’s a health message that even sweet little “Dulce” DeLece and her GC comrades should be able to proclaim. Maybe the big tithe dollars pouring in from McKee Foods transform this junk food into health food? I also heard that Little Debbie has a Catholic priest on staff to bless each package before it heads out the door, so that the ingredients normally shunned by the Health Message will somehow have a wonderful invigorating effect on each consumer. Other SDA colleges have been jealous of the blessings enjoyed by SAU with McKee’s bakery on their campus, providing jobs for students and hefty donations to university coffers. In an effort to “keep up with the Jones,” PUC reportedly is breaking ground for a vegetarian wine factory and a vegan cigar factory. “Not only will these factories provide badly-needed financial aid for our students and well-deserved profits for pet projects, but they will also uphold the health message in the same proud tradition as our counterpart at SAU,” exclaimed Hack Coffin, director of development, as he tried to hide a mysterious hacking cough. Little Debbies need to partner with a kosher bakery or Rabbi for complete absolution. Personally, I love to eat Little Debbies all the time. They are nutritious, delicious and cheap. If it ain’t broke, don’t fix it. See you at the McKee tent.